Are you ready to dig for coal in the mines? This miner lady is! 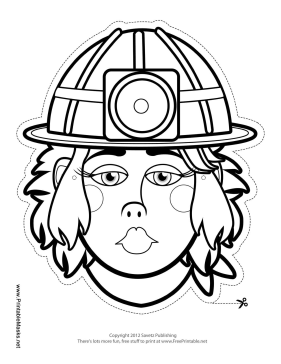 Color in this miner mask's hair, helmet, and bandana to start your own adventure in the mines! This mask is free to download and print.